Kevin is a Senior Business Systems Architect with deep expertise in Microsoft Dynamics and has been with the business for over 20 years. He is as customer focused as they come, spending more time on customer site than anywhere else. and loves nothing better than working with customers to solve problems for them, taking real world challenges, issues and problems and creating solutions that deliver real business benefit. 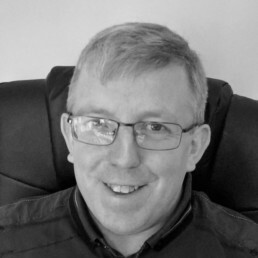 Kevin is responsible for consulting with prospects and customers, identifying their requirements and designing a solution that provides them with the capability they need. He along with a team of consultants then takes customers through the implementation; configuring, training and testing of the new system, ensuring the customer makes the most of their new solution. Kevin started with Incremental Group as a programmer and has progressed his way up the organisation, through a number of different positions.